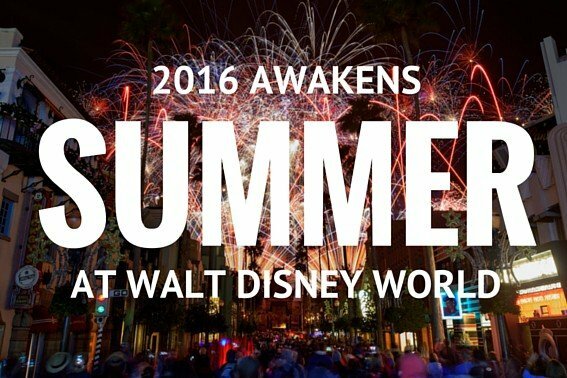 Awaken Summer at Walt Disney World! 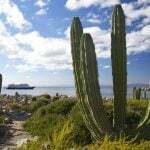 Welcome to one of the most popular summer vacation destination worldwide! 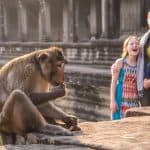 If you plan on visiting a Disney Park this summer there will be no “sleeping in” as Walt Disney World Resorts will help you awaken you summer vacation with a blockbuster line-up of new attractions and shows debuting in all four Disney Parks (and Disney Springs); you won’t want to miss a thing! I had the chance to experience these new attractions during a preview of the ‘Awaken Summer’ at Walt Disney World Resorts and I can’t wait to return! 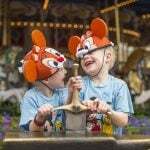 Here’s a breakdown by theme park as to what’s new at Walt Disney World this summer. Never been to Walt Disney World? Be sure to visit our First Timer’s Guide; there is a lot to learn. 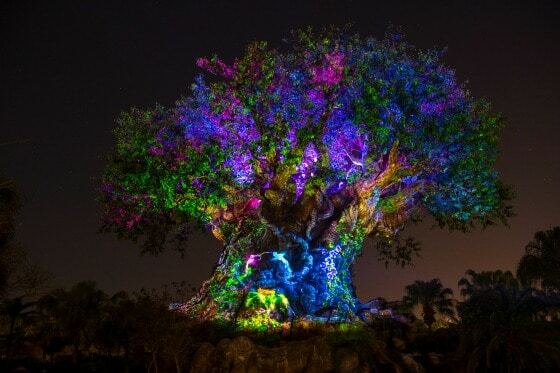 Come May 27th (Memorial Day weekend) the amazing magic of Mother Nature will come alive at night in Disney’s Animal Kingdom as hours will be extended to mirror those of the other three Disney Parks at Walt Disney World Resort! This expansion is the largest in the park’s history. Many of the daytime classics will turn into an entirely new experience-at night! 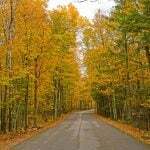 You’ll want to stick around and marvel in the beauty that lives worlds away, but now comes alive right before your eyes. The iconic Tree of Life will awaken every evening as the animal spirits are brought to life by high-tech projections that make the tree a most majestic backdrop for this nighttime show. The tree will glow and set the mood for a night full of life! Your senses will awaken as you wander the park, listening for animal noises and experiencing rides like never before. 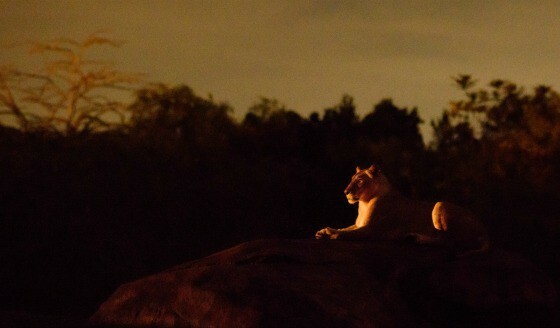 Don’t miss riding Kilimanjaro Safaris at night. Ride it at dusk and you’ll witness an impressive sunset over the African savanna that gives a glow like no other to the animals roaming the park. The lions resting on a rock with a red, orange, and yellow glow instantly reminded me of The Lion King brought to life! Riding Expedition Everest at night makes it seem as if the entire roller coaster is inside the mountain! Blindsided by the raging waters of Kali River Rapids, you won’t know what’s coming next! 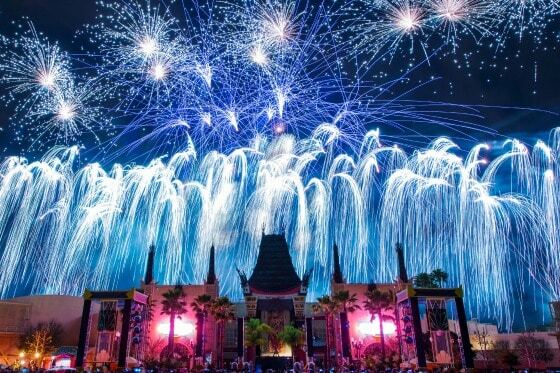 Each Disney Park has their own special way to end the night: Epcot has Illuminations: Reflections of Earth; Magic Kingdom has Wishes: Nighttime Spectacular; and Disney’s Hollywood Studio’s has the Symphony in the Stars: A Galactic Spectacular. 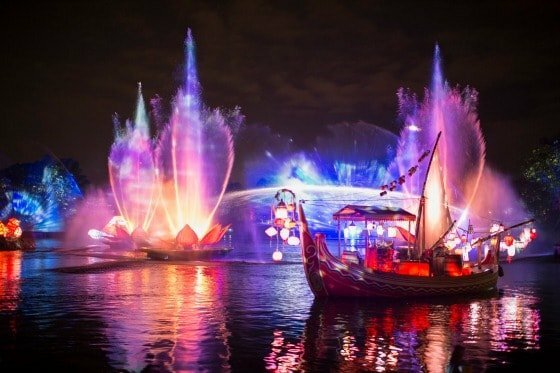 And soon, Animal Kingdom will have its very own nighttime spectacular, Rivers of Light. After seeing a preview of only 5 minutes of the show, I can’t wait to go back and see more! The stage is set on the Discovery River where the audience will be amazed with this inspiration of light, water, color and high-tech imagery shown on falling water. Animals seem to be dancing in the night sky as if you are seeing them magically appear. Reminiscent of the bright dancing Northern Lights, the Aurora Borealis, you will be awe-struck by this spectacle and the music that fills your soul. Experience the story of the legends of these lights, believed to be the spirits of the animals by some. Tip: The Rivers of Light nighttime spectacular would be the first FastPass+ I grab for this park! Do it on-the-go in the park with the mobile My Disney Experience App. You will not want to miss this show! Don’t Miss: Newly announced for this summer, The Jungle Book: Alive with Magic will be a limited-engagement show inspired by the live-action film The Jungle Book. Perfectly paired to come alive inside Animal Kingdom, live music, special effects and classic songs will delight guests daily! 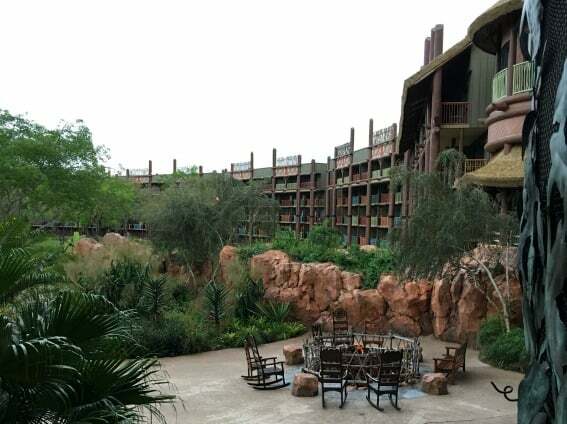 Book a room at Disney’s Animal Kingdom Lodge to experience an African Safari with a little bit of pixie dust! Step out on your balcony to see the serene savanna that is home to giraffes, zebras, and over 200 animals and birds! With an 11,000 square-foot pool, a water slide and incredible views of the African Savannah, I didn’t want to leave! For a family of four (two adults and two kids), ask about their room with bunk beds! After getting a ‘behind the wall’ look at the former Maelstrom ride, soon to be Frozen Ever After, I can’t wait to do what Frozen fans do in summer! Visit Epcot! We spoke with Disney Imagineers who had traveled to Norway for research and gave us a sneak peek into the ride. We are sure this new ride will make the Norway Pavilion everyone’s first stop in the World Showcase. 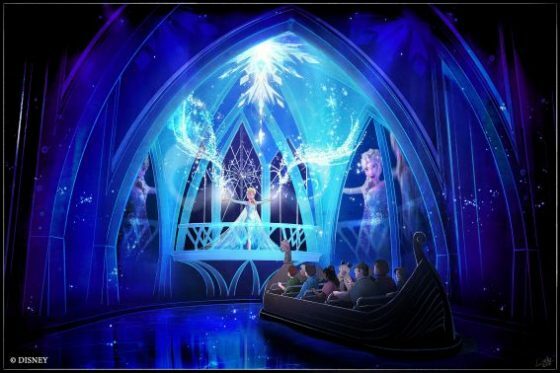 Guests will travel by boat through Arendelle, on a journey to the North Mountain where Queen Elsa has embraced her icy winter powers, and has invited us for a “Winter in Summer” celebration! Pass the Troll Valley and encounter some of our favorite and beloved characters! You’ll recognize the voices as the original cast that has collaborated again to bring us into the ride as if it was an extension of the movie. After the ride ends, the Frozen experience isn’t over yet! Princess Anna and Queen Elsa will greet guests at the Royal Sommerhus – the childhood home where good times were had and more to come as well! Simple and authentic as is the theme with the newly designed Pavilion. 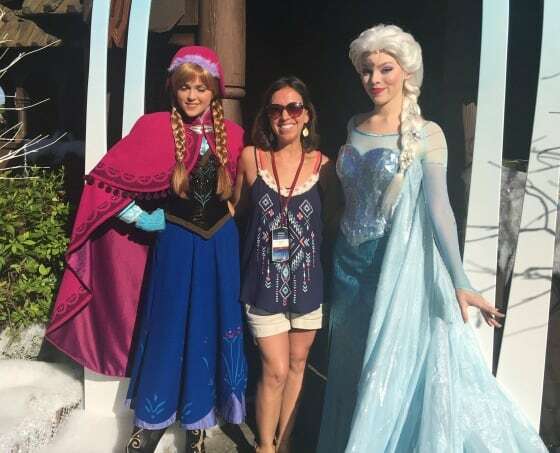 Tips: I will go ahead and *assume* that Frozen Ever After will be a ride we can use a FastPass+ on, which means you should book your pass as early as possible! The new and improved Soarin’ ride will debut on June 17th at Epcot with new scenes, sights, sounds and event subtle scents! 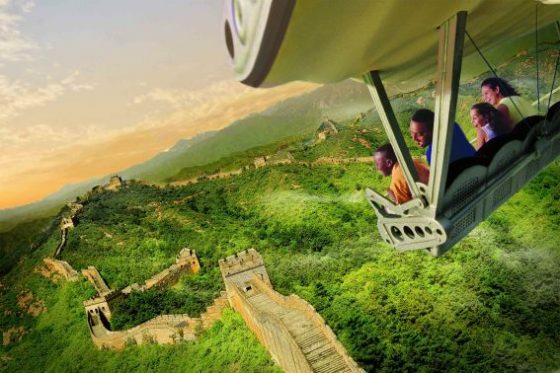 The teasers we have seen had us soarin’ over the Great Wall of China just as if we were actually there! Tip: FastPass+ is now available for Soarin’ (visiting June 17th and beyond)! 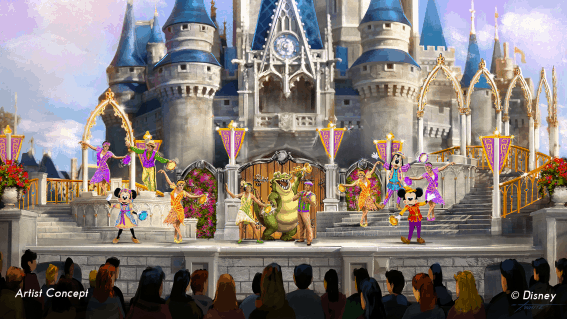 At the Magic Kingdom, Mickey’s Royal Friendship Faire will debut this June on the grand Cinderella Castle stage with new characters! For the first time (in forever) Tiana of “Princess and the Frog,” and Rapunzel of “Tangled,” will co-star with Anna and Elsa of “Frozen,” along with all of Mickey’s best pals, for a show full of dancing, music, magic and more! Also, there’s a new Princess in the Kingdom! Princess Elana of Avalor is the first Princess inspired by Latin cultures and will debut in Disney’s Magic Kingdom this summer and Disneyland this fall! Be sure to watch for her show on Disney Junior too! 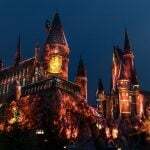 Curious about Disneyland California? Check out what’s new for 2016 there! “Chewie, we’re home!” For all the Star Wars fans out there, this is the place for you. From day to night, Disney’s Hollywood Studios has an epic line up of entertainment for your biggest (or littlest) Star Wars fans! Hop into hyperspace and explore a galaxy far, far away as you ride the enhanced Star Tours: The Adventure Continues, a 3D, motion-simulated space ride! You’ll never know where in the galaxy C-3PO will take you as the story twists are random, and you’ll never know who you’ll meet! With over 50 different story possibilities, you’ll love the suspense of a unique story almost every time you strap into the Starspeeder 1000! 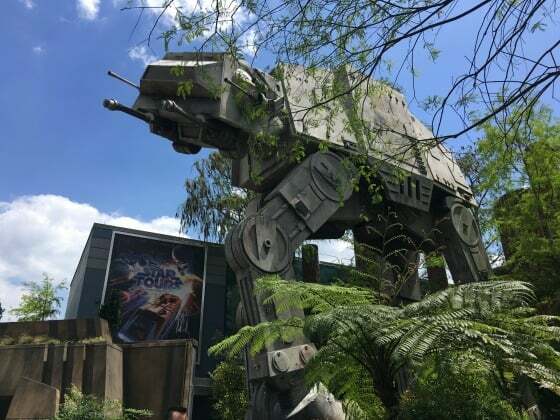 Tip: Arrive to this park early to get in line at the Indiana Jones Adventure Outpost to sign up for Jedi Training Your kids MUST be present when signing up! NEW this summer is the First Order March, led by Captain Phasma. 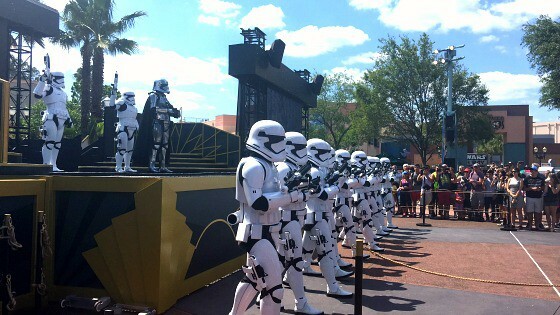 The intimidating stormtroopers march from Launch Bay to Center Stage. You hear the music and stop to watch. Don’t be surprised if a Stormtrooper suddenly stops you and asks you information about the whereabouts of BB8! Look to the sky every night at 9:15 for the debut of Symphony in the Stars: A Galactic Spectacular fireworks show! Set to the musical scores of the Star Wars films, watch the night sky light up in the classic Star Wars colors, red, blue, orange and, of course, green. The magic of the day will not be complete without watching this show! Coming in June 2016, this show will be enhanced to even more spectacular with additional pyrotechnics in all Star Wars colors making the film come to life in the sky. Powerful spotlight beams will create light sabers in the sky, and state-of-the-art special effects that will project on the Chinese Theatre, as well as nearby buildings, will create scenes that put you into the movies. This 15-minute out-of-this-Galaxy show will debut this June, however no official date announced! 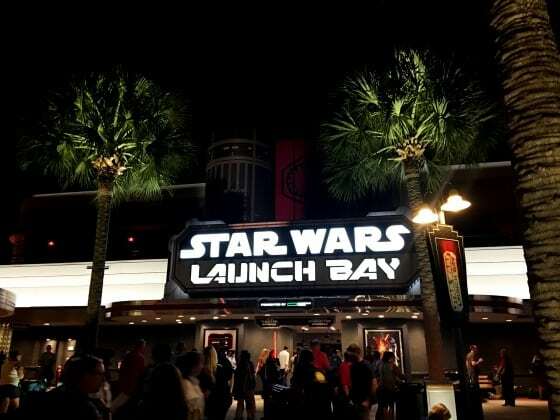 Don’t Miss: The Star Wars Launch Bay is more of a galactic, walk-through museum but getting to meet Chewie and Kylo Ren also were highlights of the day. Heading to the West Coast? 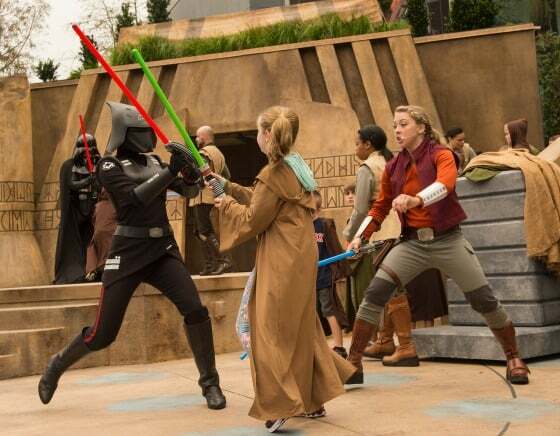 Read our tips on exploring Season of the Force at Disneyland. 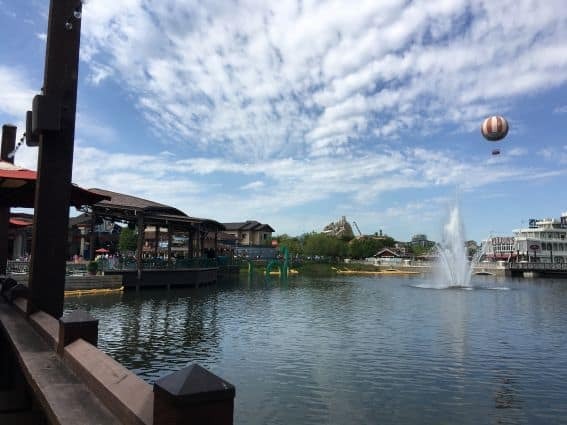 It’s been a long road for this part of Walt Disney World since 1975 and this most recent three-year long construction and re-branding process will finally be completed this summer. Over 30 new stores and more restaurants will join the impressive lineup of already existing experiences and shows. As you wander through Disney Springs, you’ll be taken back to a simpler time, with a modern-day twist! Stroll along the water, enjoy the scenery, shop in specialty stores and relax. Embrace what Disney is all about. Starting May 15th, 28 new stores and four new restaurants will begin to open in the newest district, Town Center, which is modeled after Spanish revival architecture. Among the ones I’m most excited for are Sprinkles Cupcakes, A full list of stores is on the Disney Parks Blog, but rest assured that upon completion, over 150 shops, restaurants and attractions will entice guests all year long. 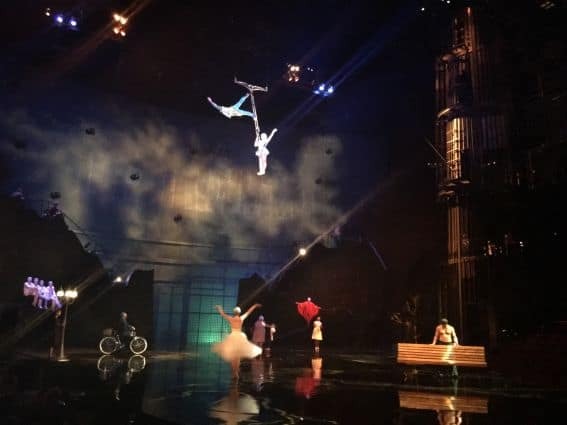 Cirque du Soeil’s La Nouba, in the West Side district, has two new acts debuting this summer: the first B-Boy act of any Cirque show (also known as break-dancing) and an Aerial Bamboo act, which is a type of performance only mastered by few in the world. Your entire family will love this show! Tips: Transportation from Disney Springs to any Walt Disney World Resort park is complimentary! In addition, they have finally completed the two parking garages which can accommodate over 6,000 cars, so parking will be a breeze! Book now and save up to 30% with an Awaken Summer Discount! 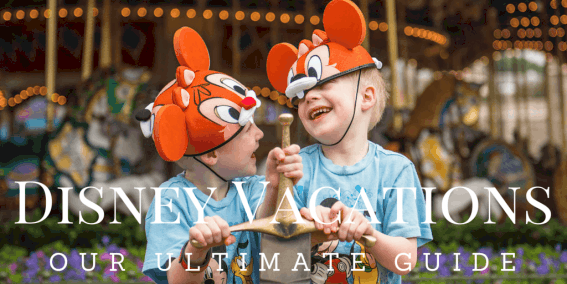 Check out our Ultimate Guide to Disney Vacations. From planning to park tips to hotels, resorts, and cruises, it is the hub for everything Disney on Trekaroo. Editor’s Note: All images courtesy of Disney Parks/Walt Disney World unless otherwise stated.